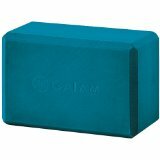 Posted on July 12, 2013, in Recommended Products, Yoga and tagged beginner Yoga, modified Yoga, yoga blocks. Bookmark the permalink. Leave a comment.